I’ve been reading manifestos by several early modernist artists from Europe recently (Kandinsky, Boccioni, Doesburg), and a recurring thought comes out in all of their writings. It is the idea that the physical reality of a subject is less important than art that expresses the essence of the object. It is easy to see how reduction of a subject to its simplest form is related to the idea of the essence of a subject, and thus, how abstraction was nourished. If we extend the idea of essence to the realm of non-tangible subjects, such as music, then we can see how non-objective abstraction developed. In my mind it is also easy to see why these artists were so passionate about the integrity of abstraction! 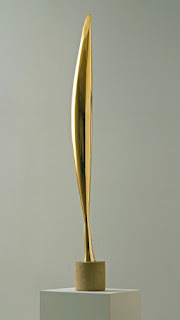 I really like Brancusi’s series of “Bird in Space” sculptures because he was not really summing up the physical bird, but the idea of flight, and he summed it up so beautifully. Initially trained as a furniture maker, he also studied under Auguste Rodin (1840–1917) in Paris. Brancusi really liked Rodin’s sculptures that featured fragments of human figures—allusions to the human form rather than the slavish veneration of a perfect human form that academic realist sculptors at the time emphasized. 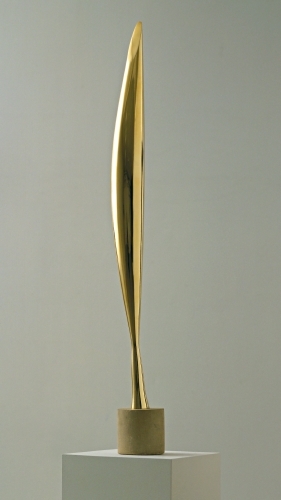 As early as 1910, Brancusi introduced the bird form as a focal point of abstraction in his "Maiastra." The bird was a perfect vehicle for Brancusi to explore his concentration on the essence of a subject rather than its physical nature. He produced a series of nine bronzes and seven marbles of "Bird in Flight" between 1923 and 1940. The highly polished surface extends the idea of flight and speed even further by allowing the form to reflect and, in effect, merge with its setting, blurring the boundaries between the form and its space. A symbol can also represent the essence of an idea or object. In China, the dragon has been a potent symbol represented in art for centuries. It has symbolized positive energy, good fortune, and is considered a sign of perfect balance. For scholars it represents wisdom, enlightenment, and truth. Images of the dragon continue to play an important role in art to the present day. The Chinese mastered bronze-casting by 2000 BCE. The first recorded dynasty, the Shang (ca. 1700–1028 BCE) perfected the production of sophisticated, elegant, and beautifully decorated bronze vessels for ritual use. These vessels, based on forms usually made of wood or ceramic, were symbols of status in wealthy burials. They almost all are decorated with the tao-tieh, a split, flattened dragon face, usually surrounded by elaborate scroll work. 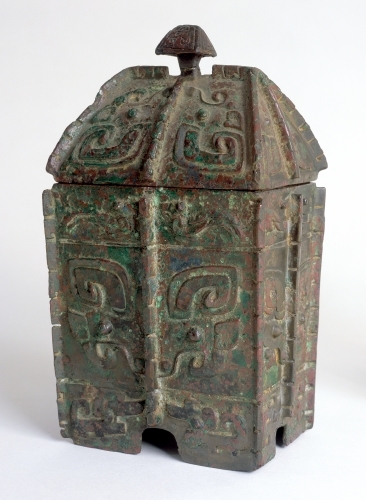 This symbol of the dragon was an appropriate one for burials, helping to ensure a successful afterlife. The Yimam people live in the Korewori River region of northeast New Guinea. New Guinea is one of the many islands that form the Oceanic region known as Melanesia in the South Pacific. New Guinea is the largest island in the Pacific Ocean. As in Australia, most arts are related to spiritual beliefs and are related to supernatural communication. Rituals and ritual art are primarily the province of men. The hook figures were stored in the men's ceremonial house. They represented spiritual and ancestral forces, or were meant to channel those forces for luck in hunting and warfare. The figure itself represents the external and internal aspects of the spirits. A head and a leg are clearly visible. The central section represents a body, with beautifully carved hooks representing the ribs, surrounding a central element that represents the heart. Although much care went into the carving of ritual objects, they were often discarded or allowed to deteriorate after they had served their function, or were perceived as ineffective. Max Weber, born in Russia, was probably the first American artist who experimented extensively with Cubism. He studied at the Pratt Institute under the influence of modernist painter Arthur Wesley Dow (1857–1922) in New York and then spent 1905 to 1908 in Paris, participating in Cubist and Fauve exhibits. After he returned to the US, his work was a highly personal form of Cubism. Although he returned to more figurative work in the 1920s, there was a Cubist simplification in his work throughout his career. The Cubism movement emphasized the idea of time as a component of two-dimensional art. The Futurists added the idea of the time component including movement (dynamism). 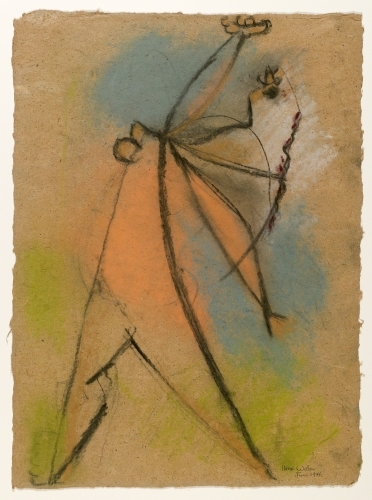 Weber produced numerous studies of dancers in the Cubist vocabulary, using it as a way to distill the basic idea of a dancer’s movements. 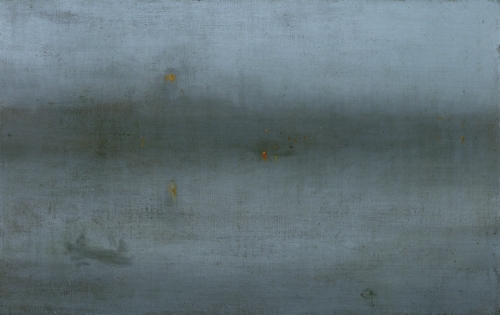 Whistler’s concern for abstract qualities found expression in a number of paintings (and prints) on the “nocturne” subject. While it is tempting to consider it the influence of Impressionism, Japanese art, particularly the prints of Hiroshige, were the major impetus. 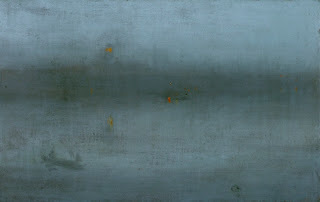 Like his portraits, Whistler worked with a limited palette to emphasize the surface of the painting. In 1872, Whistler declared that violinist friend Francis Leyland (1832–1892), who was devoted to Chopin, influenced his use of musical terms in his painting titles. Siqueiros was one of the “big three” of Mexican muralists (including Diego Rivera and José Clemente Orozco). A member of one of the armies vying for political control during the Mexican Revolution (ca. 1910–1917) and a labor activist from a young age, he studied art in both Mexico and Europe. He was affected by the frescoes of Michelangelo (1475–1564) and illusionistic Baroque ceiling and wall paintings. His murals in Mexico, on a variety of themes of social justice and a more equitable society in Mexico, are characterized by dramatic, often violent movement; distortion of forms; and a limited palette. Siqueiros often used tree-like forms in his murals to act as divisions between themes within a greater composition. This extraction of the essence of a writhing, gestural tree is typical of his Expressionistic mural forms.